How did our adventure start? Well…. We had just set up our little 1.5 man tent (we were backpacking after all so anything to reduce the weight of our packs) and had started cooking our evening meal on our single bluey stove, when 2 burgundy Land Rover Discovery’s rocked up. They parked, deployed their roof top tents and satellite phones (which came in small suitcases in those days); and we looked at each other and vowed: ‘one day that will be us!’ Those were the times when the Discovery’s dominated the Camel Trophy. In 2013, more than 20 years on, our time had come. In 2002 we bought a Land Rover Discovery Series II and registered it under its name ‘STERLIN’, proudly showing on a personalized licence plate. 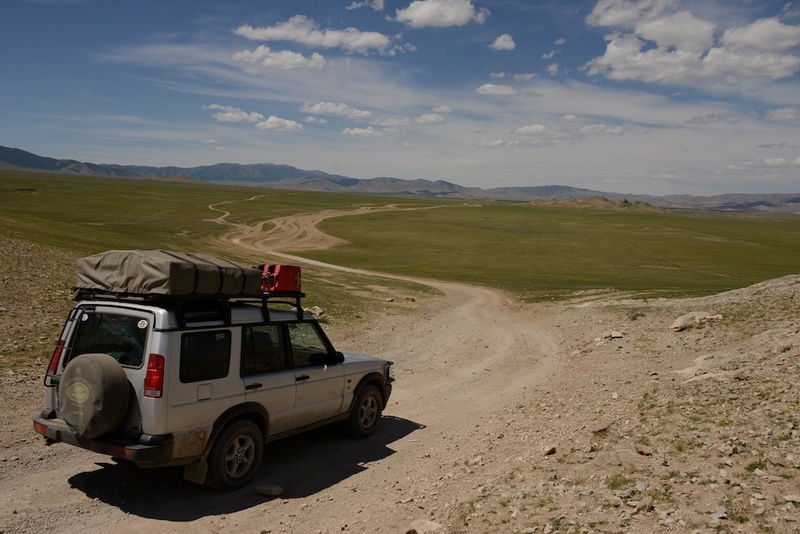 During 2012-13 we fitted the car out to become our expedition vehicle; naturally that included installing a roof top tent. More details and information can be found in the ‘Sterlin‘ section and the ‘Logistics‘ section. This is the welcome page, but all the day-to-day details of our trip can be found in the Travel Blog. We traveled from April 30, 2013 (Caroline), and May 26, 2013 (Stephen) and we updated the blog every couple of days or so with the latest going-ons (depending on access to the internet). So! Welcome to our Travel Blog! We hoped this adventure would take us to Europe, Australia, South-East Asia, Russia, Mongolia,… and all the way to Caroline’s mum’s doorstep in Belgium! We were not disappointed. Our ‘Around-The-World-with-Sterlin’ trip was broken up into 6 major legs. We started the adventure with a short vacation in Northern Europe while our car was being shipped to Australia. In Australia we first drove around Tasmania and then from the East Coast (Sydney) to the West Coast (Perth). The heart of the trip was always an extended tour of South-East Asia where we hoped and succeeded in experiencing different lands, cultures and people. After South-East Asia we continued overland through China into Mongolia and then Russia, towards Europe via Central Asia. The idea was to finish in Caroline’s home town Eeklo in Belgium. We arrived back home in San Francisco on November 30, 2014. 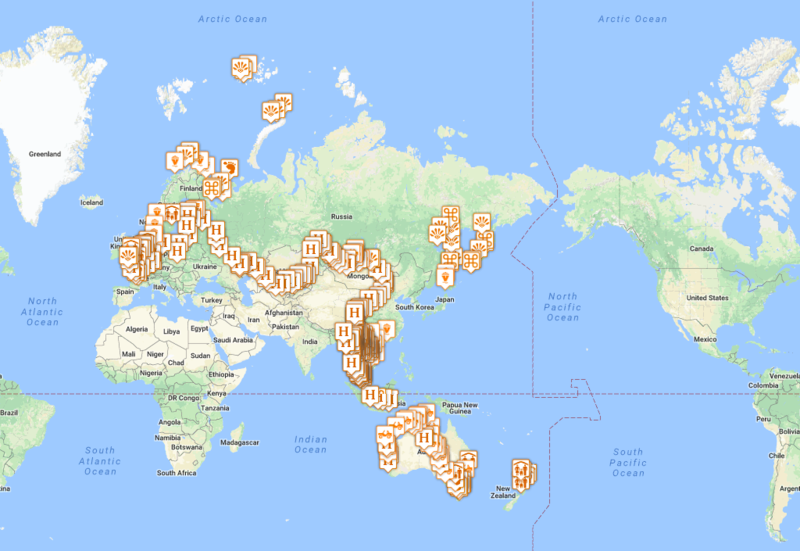 You can read about all our other travels here. Follow the link at the top of this page for our day-to-day blog entries. Caroline (BEL/USA) and Stephen (NZ/USA).